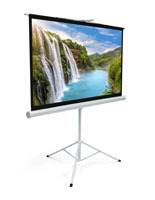 Wave-like design will draw patrons to your presentation. 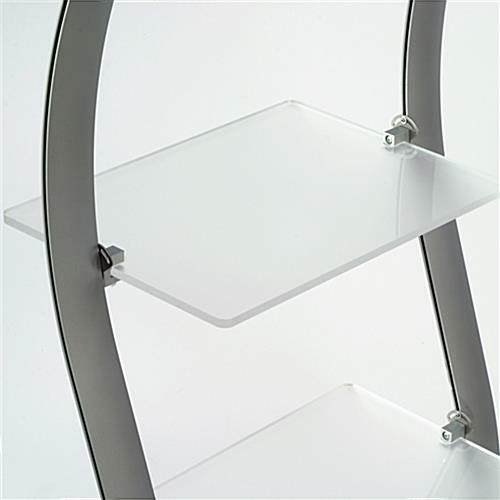 Grooved side supports allow a user to modify each shelf's height. 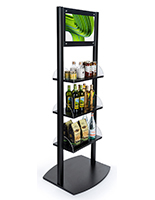 This shelving unit, merchandise display is a fun alternative to standard racks and display systems. 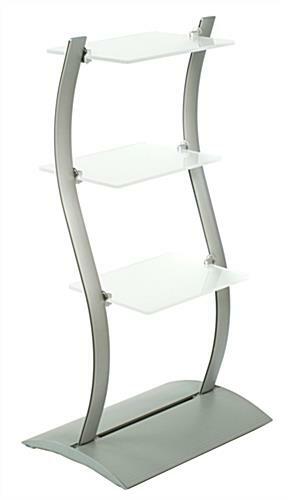 The merchandise display, also known as wave-shaped furniture, is a free-standing fixture featuring (3) shelves, made from frosted acrylic. 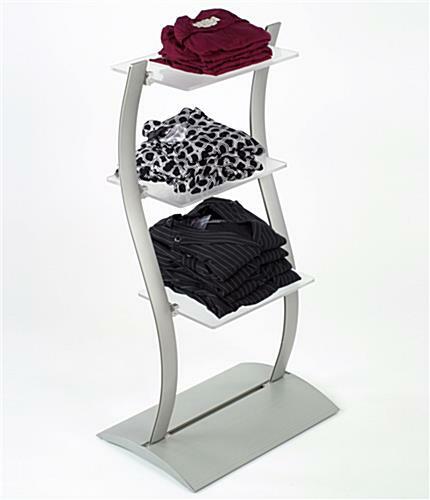 This merchandise display is constructed from brushed, anodized aluminum and has a beautiful, sleek silver finish. 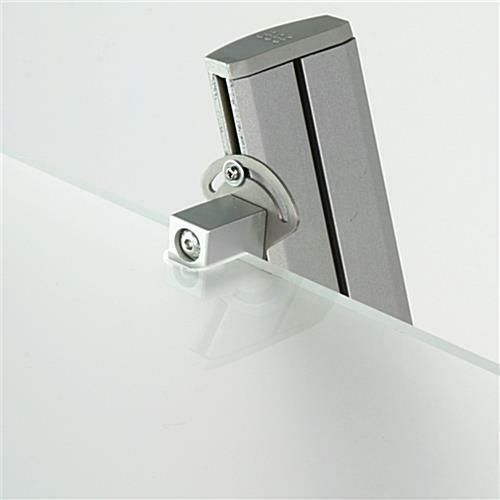 Not only will your display resist rust, but its silver finish will help draw a customer's attention to your presentation. 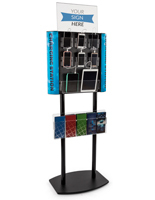 The merchandise display, such as our other wave stands, has unique grooving on both side supports. 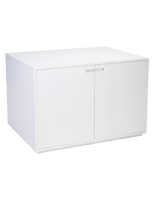 This enables a user to alter the position of each shelf. 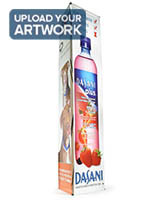 (Please view our close-up image for a better understanding.) 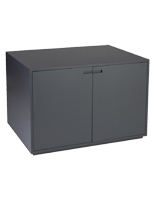 This storage unit is a great merchandise display for high-traffic locations, such as in the middle of a store or trade show. 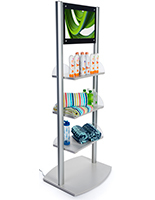 The display holder, merchandise display has an open design, allowing guests to view your products from multiple sides. 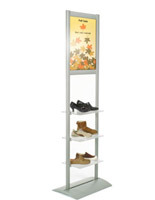 This merchandise display is a unique, storage rack one can use in any retail store with modern décor.